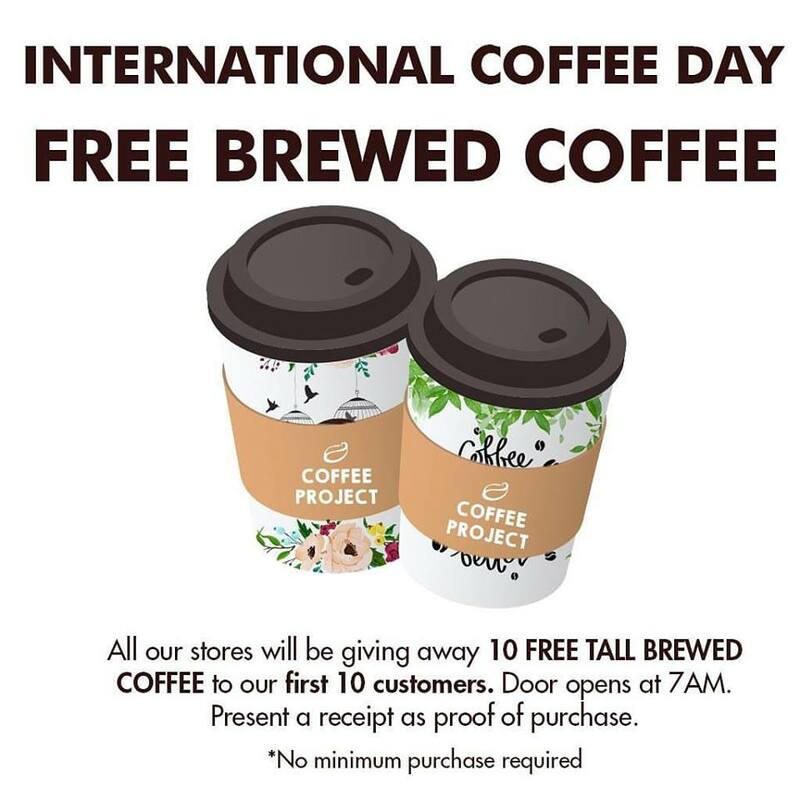 Tomorrow, October 1, 2017 is International Coffee Day! 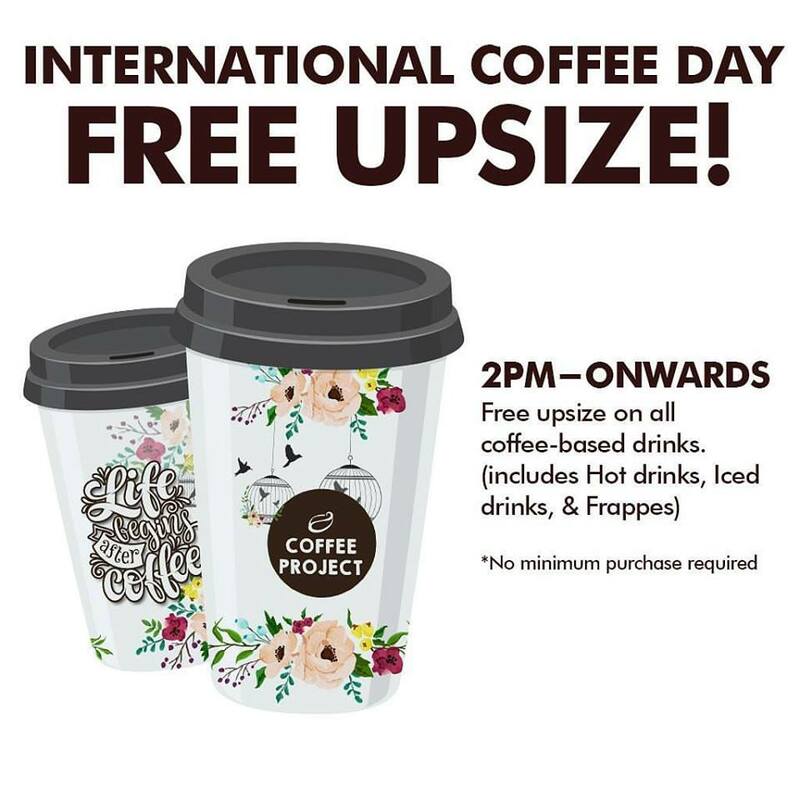 Celebrate it with Coffee Project to enjoy FREE upsize, FREE Brewed Coffee, and Buy1 Get1 Offers in all Coffee Project branches only on October 1! All Coffee Project branches will be giving away 10 FREE Tall Brewed Coffee to the first 10 customers (stores open at 7am), no minimum purchase amount! 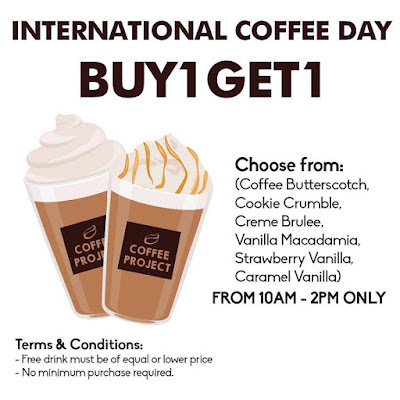 From 10am to 2pm, enjoy Buy1 Get1 Frappes in all Coffee Project stores. Free drink must be of equal or lesser value. Enjoy FREE upsize on all coffee-based drinks from 2pm onwards!